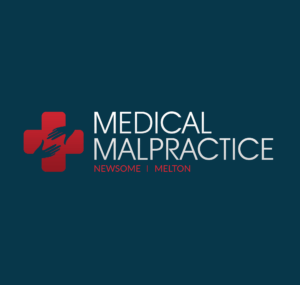 Common Malpractice Cases: Dental Malpractice | Legal help resource for people affected by dental & medical malpractice. Negligence and malpractice are unfortunate realities in the dental profession, just as they are in any other medical practice. In order to protect patients, their families, and dental care providers from malpractice, the National Society of Dental Practitioners has put together a list of 12 base causes of dental malpractice. Neglect to pay a fee. Refuse to negotiate the return of a fee. Guarantee or promise of a result. Exceed your level of competencies. Fail to obtain informed consent. Be inaccessible to a patient with complaints. Be unavailable, or fail to provide coverage for patients of record. Fail to diagnose or treat a pathological condition. Fail to prescribe or prescribe incorrect medications. Fail to meet a reasonable standard of care. Communication, proper informed consent for treatment, and accurate and appropriate record keeping practices are essential for the proper practice of dentistry. However, failure to carry out these basic principles can result in dental malpractice. In fact, the National Practitioner Data Bank explains that nationwide in 2006, one out of every six medical malpractice payment reports directly involved a dental care provider. Examples of dental care providers are general dentists, dental assistants, dental hygienists, and oral surgeons. In order to file a dental malpractice claim, all of these factors must be proven by a knowledgeable expert in the field of dentistry. The claims must be validated and any dental records that may be pertinent to the dental malpractice claim will be thoroughly reviewed. The statute of limitation on a claim made by a patient can vary depending on the state. Therefore, the attorney must be notified of the exact date of the injury so that the claim can be filed in a timely fashion. Furthermore, dentists may carry out unnecessary diagnostic tests and exams in order to bill patients more and gain financially. This is a common technique used by other medical professionals looking to increase revenue. In general medicine, doctors may refer patients to diagnostic facilities in which they have a financial interest. Double check to make sure the dentist is keeping accurate and detailed records. This includes proper medical and dental history, known allergies, medications, current findings, and treatment plans. All payment fee schedules and follow-up instructions should also be included. Documentation on any dental visits, and if the examination met or exceeded the standard of care accepted by most dental practices. All documentation should be given in writing for the treatment or refusal of medications that include antibiotics, bisphosphonate therapy, and anticoagulants. Provide the dentist with written documentation of any procedures that are being refused like x-rays, recommended procedures, and any additional dental care that could be unnecessary. Patients should ask to be made fully aware of any risks and complications that may arise during a procedure, prior to signing consent forms. If a patient still has uncertainty regarding any upcoming treatments and procedures, they should always ask more questions. The kind of dental error or professional malpractice act that is most likely to occur in dentistry is a lack of proper performance. Up to forty five percent of claims of medical malpractice filed will have to do with a kind of dental procedure or performance, personal technique, or procedural execution that led to an injury in a patient. The second most common type of incident that has to do with dentistry is an error in diagnosis, or diagnostic error. In the past, it has been a difficult incident for dentists to defend themselves against. The injuries that are most likely to result tend to involve jaws that are fractured, infections, scarring in the face, loss of teeth, tempro mandibular joint injuries, and nerve damage. The first common error is performing a dental procedure improperly. An extremely painful example is placing implants into someone’s mouth when the person is either not healthy enough or does not have enough healthy bone structure to correctly accept the dental implant. As a result, the implants fail to set, which means that the patient is left without implanted teeth and with a hefty bill. A second common error is a failure in procedural technique. Dentists may potentially be held liable for malpractice if they use root canal filling materials that were based on formaldehyde but not used properly and injury resulted to a patient. A third common error is a failure to diagnose the condition of the patient. A serious example of this particular error may result if a patient has some kind of periodontal disease and this is not diagnosed or treated by the dentist; as a result, the patient may lose all of his or her teeth permanently. A fourth common error is a failure to both develop and follow a plan for treatment. It is part of the requirement list for practicing dentistry that for each patient, a dentist not only develops but follows a customized plan of treatment to ensure the patient receives the best dental care. A fifth common error is a failure to detect a complication in the dental procedure. For example, a post surgical infection may result due to improper dental techniques or a lack of awareness by the dentist when examining the patient after surgery. Post surgical complications may then lead to damages such as losing the tooth involved in the procedure, a loss or necrosis of tissues that surround the site of infection, and in some cases, injury to the jaw line. These kinds of errors are common in dental offices and may involve a range of situations, such as the improper diagnosis of periodontal disease, the improper diagnosis of gingivitis, errors in diagnosing disorders that involve cavities or the hard tissues around the teeth, or even errors in diagnosing neoplasms that are malignant as well as cancers that occur within the mouth. Bartleby, J. “Dental Malpractice Cases: Should You Consult an Attorney?” Yahoo Health, 1 June 2006. Web. 25 May 2012. Kysar, Douglas. CPR Perspective: Medical Malpractice. Center For Progressive Reform, September 2009. Web. 25 May 2012. “National Practitioner Data Bank: 2006 Annual Report.” U.S. Department of Health and Human Services, 2006. Web. 29 May 2012. Seidberg, Bruce J. “Dental Litigation: Triad of Concerns.” American Board of Legal Medicine, 8 December 2006. Web. 25 May 2012.